We rose bright and early on Thursday because we had an appointment to keep. We were scheduled to meet at the office of our congressional representative, Diane Black, and a member of her staff was going to lead us on a tour of the Capitol. After a short cab ride, we found ourselves at the entrance of one of the several congressional office buildings. I was expecting a long wait through security, but it was easier than I expected. There was a metal detector, but that was about it. Heck, I thought it was harder to get the elevator to work at our hotel. From the office, we made our way through the tunnel to the Capitol. People were hustling and busting, and I realized something. The vast majority were in their 20s. I came to the conclusion that our government is actually run by young people who have the drive and energy to do it. The tour of the Capitol was awesome and was one of my favorite parts of the trip. We saw scars from where the British burned the building during the War of 1812. 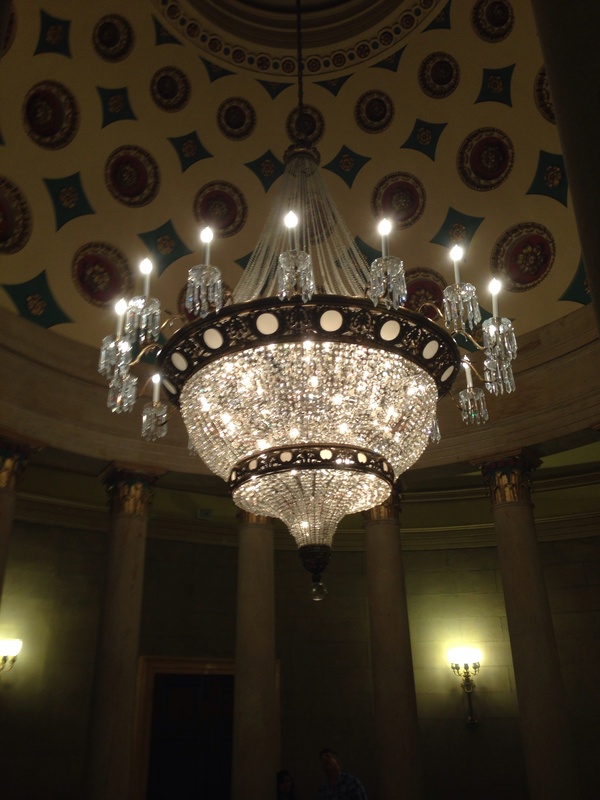 We also saw a chandelier that began its life in a whorehouse before being moved to a Methodist church. Finally, it made its way full circle to our nation’s Capitol. It started in a place where they screw people for their money and ended up in the same type of place. The old chambers of the House and Senate were also cool. I wanted to see the place where Senator Charles Sumner of Massachusetts was almost beaten to death, and, suddenly, there we were. The rotunda was interesting, but I really liked the statues scattered throughout the building. Each state submits two statues of people who are important to them. There were a lot of presidents, but there was also Helen Keller and a Native American leader. Tennessee’s entries are Andrew Jackson and John Sevier, two men who were not fond of each other. However, there were also statues of other people who were important in Tennessee history. 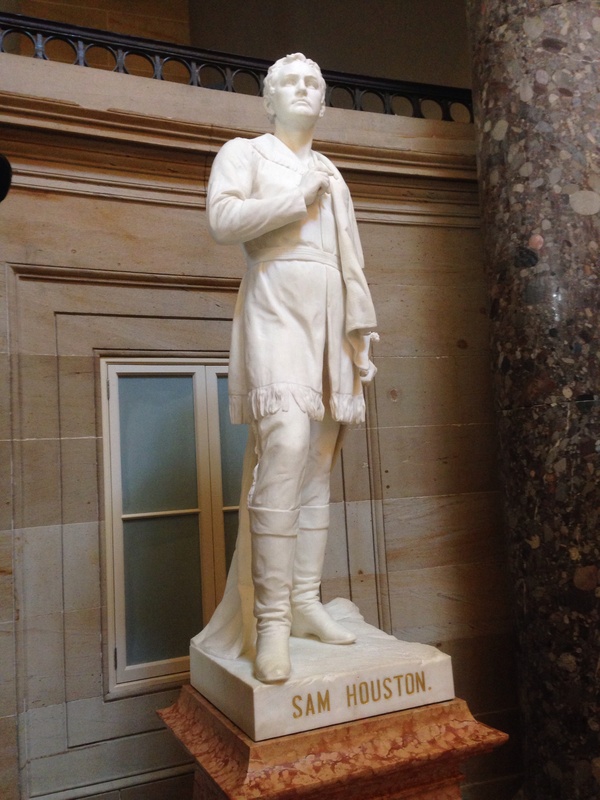 Texas offered a statue of Sam Houston, who served as governor of Tennessee. Also, his first law office was in Lebanon. 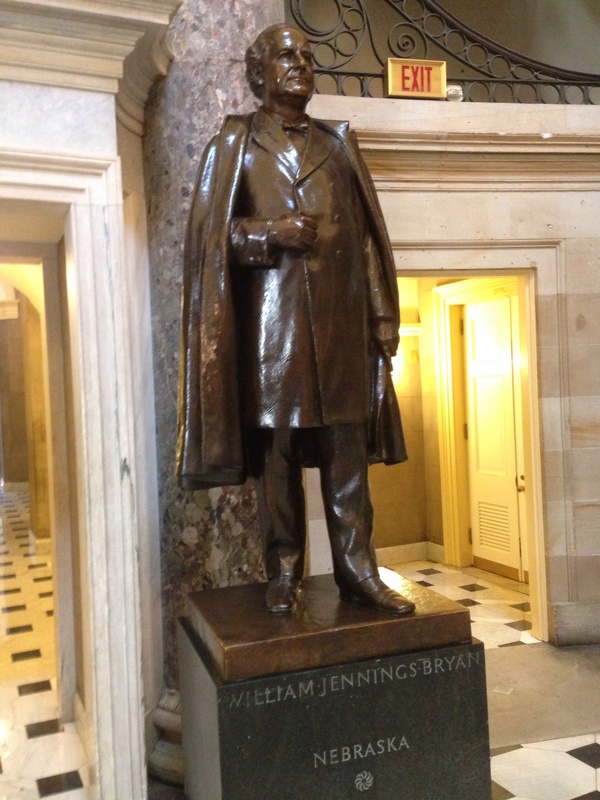 Nebraska had a statue of William Jennings Bryan, who died in Tennessee after serving as the prosecutor in the Scopes Monkey Trial. Without a doubt, the highlight of the visit was sitting in the gallery and watching the House of Representatives at work. As we looked down upon them, a few things went through my mind. The room is a lot smaller than I imagined. The House of Representatives is chaotic. We watched them take two votes, and hardly anyone was sitting down. They were walking around. They were standing in front of the speaker’s stand and talking. Kids were on the floor. Staff members were in and out. It was in complete disarray. Most members of the House are anonymous. Most people probably know their own representative and others in their state, but that is about it. Heck, we sit close to the Kentucky border, and I could not tell you who any of their people are. Except for a few in leadership positions, no one really knows who these people are. After watching them for a while, we decided to walk down the hall and watch the Senate. This is when we discovered why our government cannot get anything done. We had to leave our belongings in a room before going to the House chamber. However, we could not get to the Senate without first going back to get our stuff and turning it in again at the Senate holding room. Understand? Me neither. We had to go back downstairs; get our stuff; turn it in at a different location; then go to the Senate. Ridiculous. Then, we got to the Senate chamber and watched one guy give a speech to an empty room. We left the Capitol and made our way to a sandwich shop for lunch. Then, we walked across the street to the Library of Congress. Did I say walk? This is when we realized that walking to everything was not going to be as easy as we thought. The Mall is a huge expanse, and things that look close on the map may not be close in reality. With a busy morning behind us, we decided to take a cab to the hotel and rest up before dinner, which was at a cool South American restaurant. My wife and I both had mojitos with huge pieces of sugar cane sticking out of them. Nothing like a drink with a hunk of wood-like stuff. After dinner, we walked to the Mall to see the monuments at night. We had heard that this is the best time to look at them. Several things stuck with me. People play kickball and softball around the Washington Monument. I had never thought of it as a big recreational area, but that is what it is. 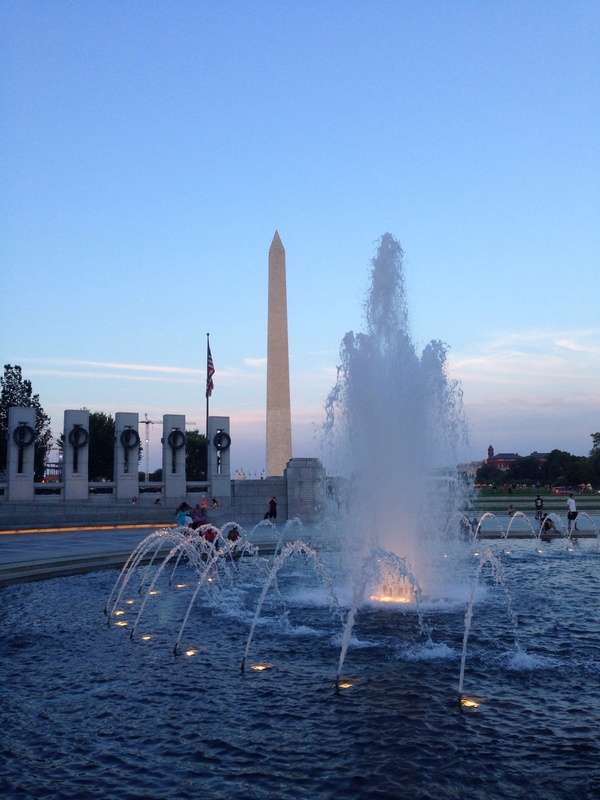 The World War II Memorial is amazing. The water in front of the Lincoln Memorial is huge, but it is also where Captain America met Falcon in Captain America: The Winter Soldier. 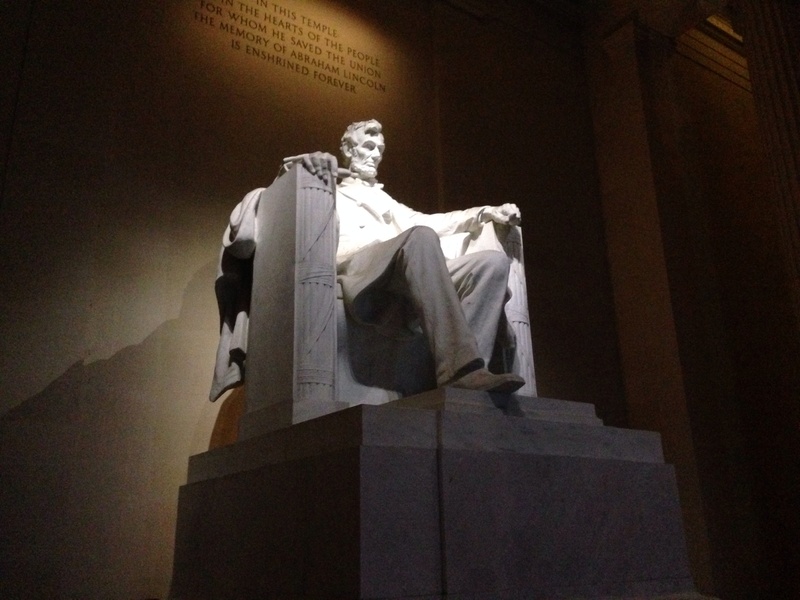 Tons of people want to see the Lincoln Memorial and will risk their lives for it. We saw one woman wreck a Segway. However, I can understand why. It is an inspiring experience. The Vietnam Memorial is behind a bathroom. We lost the people we were with when we thought they went to the bathroom. Actually, they were going to the Wall. 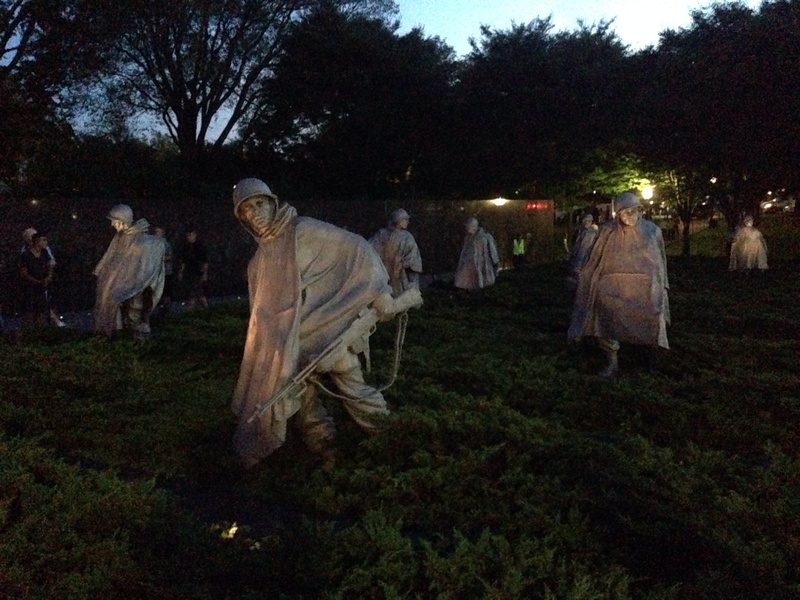 The Korean War Memorial is the one I most wanted to see, and I was not disappointed. Seeing the soldier statues glowing in the night was a haunting experience. With that, we caught a cab back to the hotel. My stepdaughter went to the room while my wife and I hung out in the lobby to make sure the rest of our gang made it back. When I started this blog, I promised myself that I would stay away from politics. It is supposed to be a light-hearted blog with a few instances of seriousness from everyday life. I come to the blog world to escape from the other world, and I believe a lot of other readers to that as well. 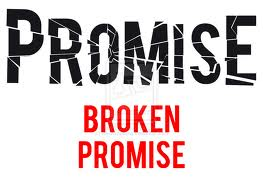 Except for a few attempts at humor at the expense of government officials, I have kept that promise to myself. However, the Supreme Court’s decision on health care has led a lot of Internet people to provide their thoughts and opinions concerning the law and the state of politics in the United States. I have read a quite a bit; agreed with some; and, disagreed with others. Finally, I decided to break the promise I made to myself and espouse my opinions on the subject at hand. To prevent myself from going on a tangent, I will simply number my thoughts. 1. A lot of people bemoan the divisiveness of politics these days and wonder where we lost our civility. I am not sure we ever had it. Vice-president Aaron Burr killed Alexander Hamilton in a duel. Senator Charles Sumner was almost beaten to death in the Senate chamber. Oh, and there was the time where the country thought it was a good idea to split and fight a war against itself. Compared to that, I think the screams of talking heads are relatively mild. 2. I theorize that today’s divisiveness began when Hillary Clinton got on television and stated that her husband’s affair with an intern was a “vast right-wing conspiracy”. I agree that he should have never been impeached, but no Republican forced him to unzip his pants for Monica Lewinski. With that as a backdrop, George W. Bush won the 2000 election, and those on the left could not get over it. He stole it, and it was a travesty of America’s election system. Well, he wasn’t the first person elected to the presidency without winning the popular vote. On top of that, Al Gore lost the election more than Bush won it. Everyone focuses on Florida but forgets that Gore could not win his “home” state. He forgot where he came from, but those of us in Tennessee did not forget. If he had not taken Tennesseans for granted, then Florida would not have mattered. Besides, if I was running for president and my brother was the governor of a state, then I would expect to win that state, too. 3. This brings me to the hatred of our presidents. I know a lot of people who hate- HATE I say – George W. Bush. I also know people who hate -HATE I say- Barack Obama. Depending on who you talk to, each of them is, at most, the Devil himself or, at least, the worst president in history. Here is a fact, all – I say ALL – presidents do good things AND bad things. Nobody is perfect, and nobody can make everyone happy. I don’t believe a president can be judged accurately until a generation has passed since their time in office. There is simply too much emotion involved for an unbiased -wait, that’s impossible in history too – a close to unbiased appraisal. In the old days, people hated Thomas Jefferson, Abraham Lincoln, and probably even George Washington. Personally, I believe a person who is willing to take on the stress of that job deserves more than our vitriol. It doesn’t matter if we think they are a dumb frat boy who can’t speak English or a foreign-born Muslim who is a communist. 4. I do not like the health care law for several reasons. First, I believe it places more burden on small businesses during economic times when we should be lifting burdens to help them succeed. We need jobs before anything, and they create jobs. Second, I believe that the federal government should stay out of our day-to-day lives as much as possible. This country was built on independence, not dependence. This means that they should stay out of our pockets with big taxes and realize that it is our money and not theirs. In fact, a flat 10% tax should work fine. It also means that they should stay out of the bedrooms of consenting adults and out of the decisions of pregnant women. Telling us that we have to buy something is, in my opinion, interfering with our personal decisions. People say that it is good because everyone needs health insurance, but the road to Hell is paved with good intentions. Telling us we have to buy a product is a slippery slope. What happens next? Will we have to buy an electric car from GM? Will a prohibition be placed on unhealthy activities such as smoking, drinking alcohol and eating fast food? You may think this is crazy, but we had prohibition once before. And, it was a disaster. Simply, I do not like the health care law because the government should not be able to tell us what to do. It sets bad precedent. I guess that’s all I have to say. I thought about going through all of the presidents and writing about the things they did while in office. That would take forever though. One day during a meeting, I got bored and listed the presidents. I then marked my opinion of them by putting a + by the ones I thought did a good job and a – by the ones I thought did a bad job. Maybe, I will put that list on the blog one day.